2018 is over and it has been a mixed year for films, some very good, some very bad. However time moves on and we need to look forward into 2019 into the top 10 films to look forward to in the new year. When I first heard about this film, I was not interested at all. Pokemon has had several animated feature length films. To forget about the rich lore that Pokemon has created and create a random story about a detective Pikachu, did not seem right to me. However upon seeing the trailer, it looks goofy and loads of fun. To see all my favourite pokemon in unusual situations may result in a surprisingly good comedy. 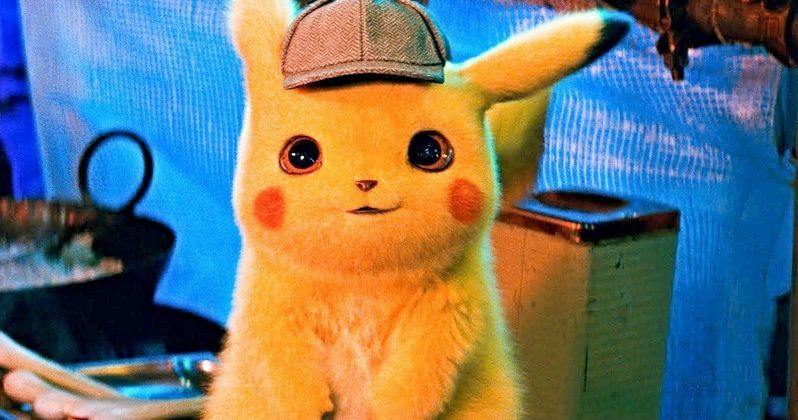 With Ryan Reynolds voicing the cute looking Pikachu this may work and be pretty good, it’s at the bottom of the list because this could end up being a failure or the potential of creating a cinematic Pokemon universe. Who knows nowadays. I have been hearing about this film for about three years now. 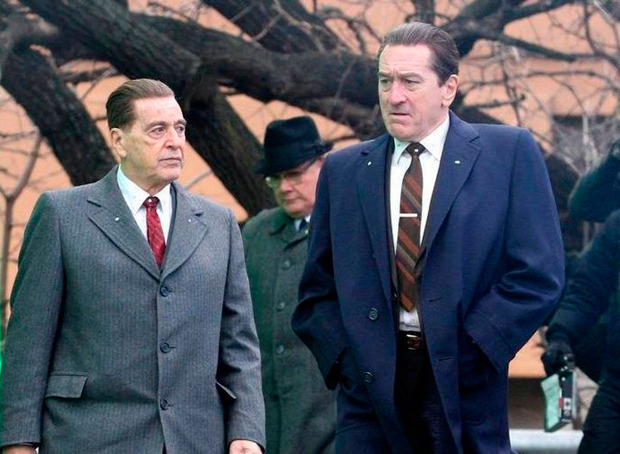 Rumours of a film about Jimmy Hoffa with Al Pacino, Robert De Niro, Joe Pesci, Harvey Keitel and Martin Scorsese at the helm who wouldn’t be excited. This film was brought by Netflix for $100 million and the production budget has eclipsed over $140 million. I have heard so much about this film but know so little. This film has so many cinematic heavyweights that this surely can’t fail. So much money and time has been poured into this film, it would have to meet the quality of Goodfellas or The Godfather to justify the resources poured into this film. I’m excited but also apprehensive about the state of this film. The Dark Phoenix Saga is one of the most iconic stories within the X-Men universe. It was awfully retold in X-Men: The Last Stand but after Days of Future of Past erased those events, the team behind X-Men have the chance to have a second crack at it. First Class and Days of Future Past was brilliant, Apocalypse not so. The early trailers do look great and I have faith in the full cast pulling it out the bag. This could be the last X-Men film under the Fox banner so lets hope they go out with a bang. 8 years since the last Toy Story, of which we thought was the last. I am still excited for the film as all three films have been near on perfect, however this is not as high on the list because of the risk involved. The third installment was a perfect finale for these characters of which generations have grown to love, to introduce a fourth film may muddy the waters. I want this to be great, I want this to be a perfect continuation of the story but there is a part of me that is worried that this could be a cheap cash grab for a studio who was a pioneer of original animation. However, in recent times they have fallen back on producing sequels not up to the standard we have come use to from Pixar. However no amount of worry or anxiety will stop me being heavily excited for this film as these are characters that I love and are an absolute joy to watch. The end of the third trilogy, the true test for the Disney Star Wars experiment. It is amazing how much has changed in a year. In 2015, after Force Awakens, Star Wars brand value had peaked and it looked like nothing could stop Disney. However after the release of The Last Jedi and Solo: A Star Wars Story, there are some indication that audiences were getting fed up with Star Wars. Disney has oversaturated it’s own market. However with the return of Sci-fi darling J.J Abrams and the promise of an explosive and climatic finale, Episode 9 could be the saviour for the Star Wars cinematic universe. It seemed like it was decades ago, Disney purchased Star Wars but finally we will get to see the conclusion of the Disney trilogy and I will be buddingly waiting in line when it does get released. The Lego Movie was one of the most surprising hits in 2014. I went to watch it five times in the cinema and still rewatch it on the regular basis. For what some prematurely just called an advert for a toy, it was much more than that. It had a deep story and was genuinely hilarious. As soon as they announced a sequel I have been counting down the years, months and days till this is released. The first film was shockingly snubbed at the Oscars and created outrage. The trailer looks just as colourful and hectic as the first film and I can’t see why this sequel, with the same cast, can replicate that success and quality. Godzilla fighting giant moths and dragons, need I say any more. This looks like the creature feature that I have wanted my whole life. Kong: Skull Island was great, Godzilla was great, but what they missed was an opponent that eclipsed them in height and strength. It will be loud, crazy and full of action. The trailer looks outstanding, the posters are beautiful, I cannot be anymore hyped for this film right now. This is a must for an IMAX viewing. In the words of Dr Frank N. Furter, I’m shivering with Antici……………….pation. Get Out was my favourite film of 2017. It took horror to a new level and showed that horror isn’t just some schlocky gore fest. It was beautifully directed and well written. Jordan Peele returns for his sophomore effort with Us. The trailer was released on Christmas Day and what a treat it was. It looks to match the imagery and tone of Get Out, It is another horror, with a great cast and chilling story. I am a huge fan of Jordan Peele just because he has put horror back on the map, helped by the next entry on the list. The trailer is terrifying and looks fresh. This film hopefully continues the success of Get Out and early indications might confirm these suspicions. IT was also one of my favourite films of 2017. IT was also the highest grossing horror film of all time, taking it approximately $700 million, which is a mad amount of money for a horror. IT was hilarious, scary and had some chilling imagery which hopefully can be replicated for the sequel. The young cast are returning and the adult cast that have been announced prove why this is one of my most anticipated films of the year, Jessica Chastain, James McAvoy and Bill Hader to name a few. Bill Skarsgard returns as the horrifyingly creepy Pennywise. This could end up to be as good if not better film than the first. Let’s hope so. 11 years since Iron Man was released and kicked off the Marvel Cinematic Universe. The MCU has been the most influential event in modern cinema with the bankability of connected universes. This is the end of an 11 year journey. It will continue after this but the end of the original Avengers. Infinity War was a fantastic installment in the franchise that shocked millions. Endgame promises to be a fitting finale and there will be deaths as for some actors their contracts end at this film. The trailer was emotional and bleak. This film will break box office records and will blow minds. My body is ready for this film but my heart will not. This is going to be emotional. What a year for film.